Hong Kong, 12 January 2017 – SuperCharger FinTech Accelerator successfully launched its second programme on January 9 in the newly opened Cyberport FinTech Smart Space. SuperCharger welcomed its cohort of 8 FinTech start-ups and scale-ups – Bambu, Clare.ai, Entersoft, FinChat, Foris, KYC Chain, Squirro, and Xnotes Alliance – who will be collaborating with and learning from leading FinTech professionals over the next three months in the largest FinTech space in Asia. Invest Hong Kong (InvestHK), a government department tasked to attract FDI into Hong Kong, is one of the sponsors of SuperCharger, The department collaborates with entrepreneurs, accelerators and innovation labs to promote Hong Kong as a key FinTech hub in the region. Its newly established FinTech team provides one-stop support to FinTech companies and entrepreneurs planning to set up or expand their presence in Hong Kong. 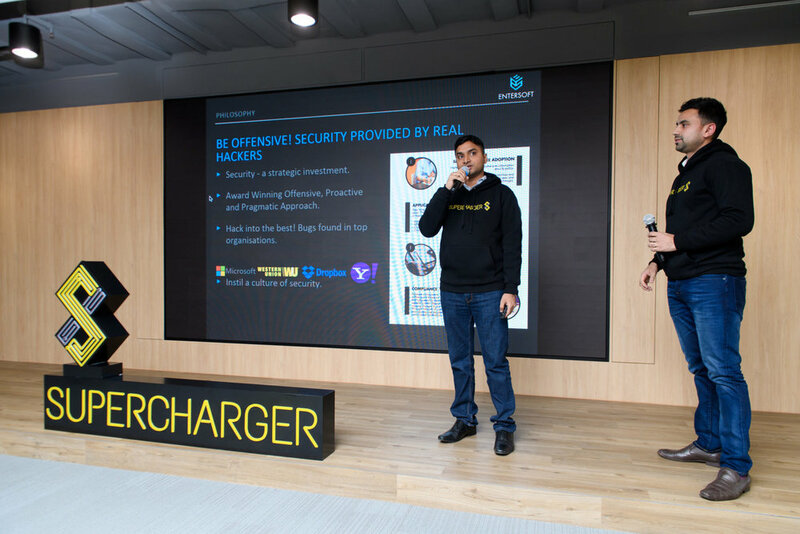 The launch of SuperCharger 2.0 took place in a timely lead-up to the StartmeupHK festival 2017, an initiative by InvestHK that showcases the city’s start-up scene and technological innovations. From 16 to 20 January, the festival will bring together global and local founders, innovators and investors. The festival is the second event of its kind organised by InvestHK following the success of the inaugural Hong Kong FinTech Week in November 2016. In order to build the momentum of the active FinTech scene here, the FinTech Finals 2017 will come back again to HK, as one of the highlights of the festival, in which the selected local and global companies will compete for the prize of US$10,000. 3 companies from SuperCharger – Bambu, Clare.ai and KYC Chain – have also been selected to pitch in the finals, reasserting the role of accelerators in supporting the growth of start-ups. With an increase in the number of technology start-ups by 24% from last year (source: InvestHK, 2016 Start-up Profiling Survey), accelerator programmes could serve as a sustainable model to propel the local FinTech ecosystem, as demonstrated by SuperCharger and a strong track record of its alumni: Neat has launched a private beta of Neat Mastercard that enables contactless payments in connection with its own budgeting app, amassing 150 users within a month; Funding Societies has raised US$7.5 million from Sequoia Capital to build a P2P lending platform; Amareos has partnered with Thomson Reuters to combine financial services and AI analytics technology; WeCash, the first online credit assessment platform and solutions in China, was listed as Top 40 Leading Global Innovator under Leading Global FinTech Innovators in 2016. MicroCred has secured US$71 million capital investment for its expansion in China and the development of their Internet finance strategy. Gatecoin has partnered with MicroCred to scale beyond Asia into Africa. As such, the HKSAR government continues to launch innovative projects to bolster Hong Kong’s role as the nexus for growth in FinTech. The government has injected HK$5 billion into the Innovation and Technology Fund and another HK$2 billion into the Innovation and Technology Venture Fund to support start-ups. Such efforts have proven fruitful, as demonstrated by an increasing attraction of global FinTech companies to Hong Kong and success stories by the local start-ups (source: SCMP, Fishing for FinTech).